One of our friend's recommended we try out this place, we did and it was a warm pleasant surprise. 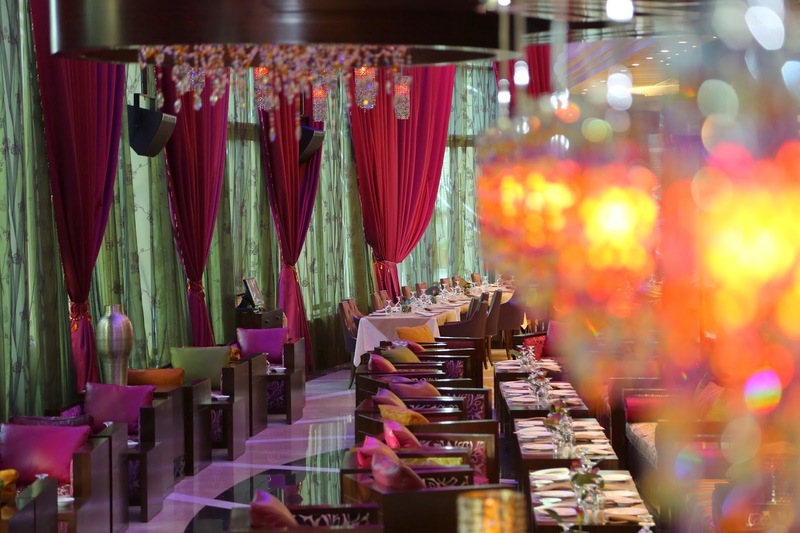 Ambiance: The restaurant is quite small, and can seat upto approx 30 people yet once you're seated its very comfortable. We noticed we were the only Indians there since this place has a high Filipino following. You can have to wait a bit to get a table, when we first entered the guy told us it would take an hour to get a table, however after awhile we spoke to a lady who told us the table would be ready in 15 mins. The interiors and very simple yet inviting with a buffet table stored at the back and a few paintings on the wall as well. Since this restaurant is a bit small i wouldn't suggest arriving more than 5 people. Food: They have the usual menu (which can be found here: http://www.zomato.com/dubai/asian-flavors-restaurant-qusais/menu#tabtop) as well as the boodle options, which basically means quite a mix of food on a large platter. They have a total of 7 options for the boodles. Their menu is a very high mix between Indain and Chinese/filipino food. Since we were 5 of us we ordered the boodle fight, which comes with soup, iced tea and a plate of fresh cut fruits as well. The food took around 15 mins to arrive (or maybe it felt longer since we were quite hungry). For the soup we got sweet corn chicken soup which was really good and fresh. 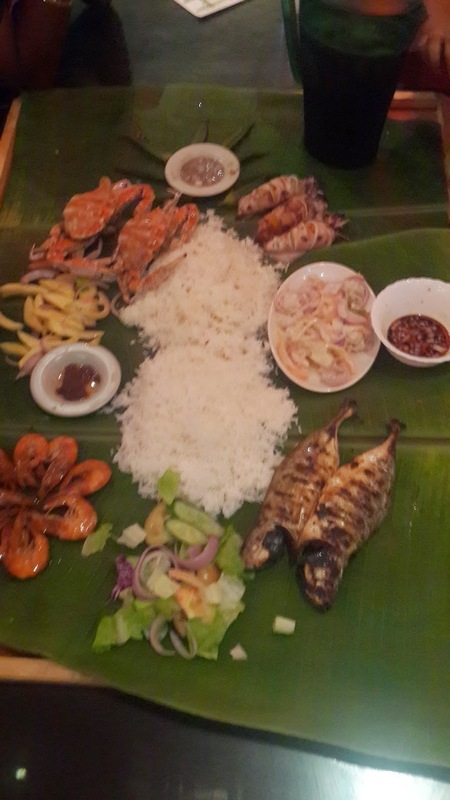 For the mains the platter consisted of 2 grilled fish, 10 steamed/grilled prawns, a squid salad, 2 boiled crabs, a salad and 4 stuffed squid, plain rice and garlic rice. This platter can be easily eaten by 4 people, 5 is if they are all medium eaters. The garlic rice has an amazing flavour and the aroma is not too over-powering. 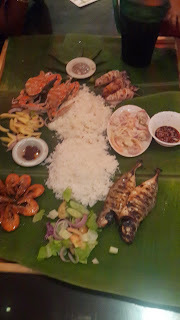 Even the prawns (medium sized) have a nice mix of butter, I really enjoy it when seafood isn't over-powered with too many other ingredients and this place really delivered with the prawns. 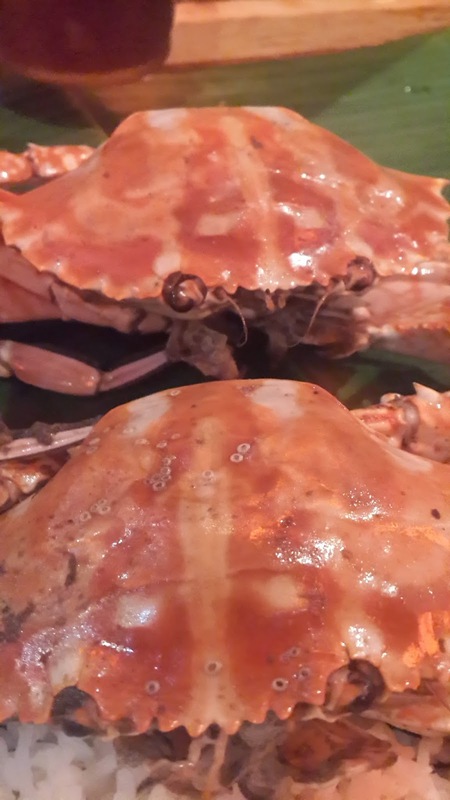 The crabs also was cooked well and it was easy to break it, clean and eat it. The stuffed squid wasn't to anyone's liking and so we passed on that, the squid also felt a bit raw. The squid salad however was a winner and went well even with the place white rice. Definitely, a place I'd visit again since its a very chilled out atmosphere to eat it. The fresh cut fruits add a nice ending to the food instead of the usual sugar treats. Service: Even though the restaurant was packed the service was still good and friendly. 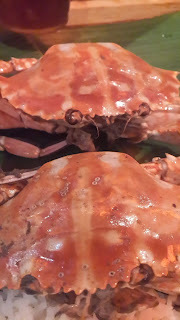 One of the servers asked if we enjoed the food and even took our photo for their facebook page, link can be found here - https://www.facebook.com/asian.flavors?fref=ts Bill: The total bill was AED 199/- for 5 adults.